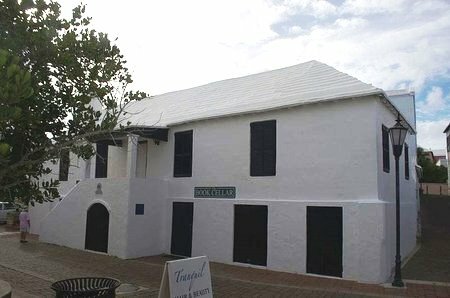 If you have interest in knowing how a famous Bermudian and his family would have lived their day to day life way back in the 18th century, Tucker House Museum perfectly showcases that. The museum, located in St. George's, used to be a home built in the 1750s. Henry Tucker, on who the museum has been named, was a famous and an influential Bermudian who lived in this house from 1775 with his family. He was the president of the Governors Council in Bermuda between 1775 to 1807. His ancestry can be traced back to the second Governor of Bermuda who arrived in 1616 and contributed making Bermuda a self governing colony. The cellar downstairs became the first archaeological museum of Bermuda in 1994. It has numerous 18th century day to day household items including Chinaware. Rooms upstairs are full of antique furniture and paintings. You can see some magnificent collections and artifacts in the Tucker House Museum. These have been mainly donated by the Tuckers family who lived in the house till 1809. They reflect the household items that the Tuckers had used in their day to day lives. Some of the exclusive treasures that you will see here include antique English mahogany & Bermuda cedar furniture, silver & china items, great crystal collections, portraits by Blackburn, and exquisite hand-sewn quilts. There is a cedar make tea table and a four-poster bed. The Tuckers also made significant contributions to the history of America and England. Henry Tucker's younger brother was the third and longest serving treasurer of U.S. Another family member of the Tuckers served as the secretary to Queen Anne. Tucker House is also a site on the African Diaspora Heritage Trail of Bermuda that captures the legacy of slavery in the island. The kitchen at the Tucker House has a special history. Joseph Rainey, a black man from South Carolina fled to Bermuda during the American Civil War when he realized that it was only getting worse there for the blacks. He arrived in 1862 with his wife aboard a blockade runner. He operated a barber shop at the kitchen of Tucker House and soon became a busy barber within the local community. His wife too became successful as a dress maker. They subsequently returned to South Carolina in 1866 after the Civil War was over and Joseph joined politics. He went on to become the first ever black in the US House of Representatives serving the 1st District of South Carolina between December 1870 - March 1879. The Tucker House Kitchen documents and displays the life of Joseph Rainey and how he worked out of this place. There is a guided tour available. Call up the museum for the tour details. In-house volunteers (mostly school students wearing 18th century dresses) are available on certain days who can answer questions and show you an initial route to follow. 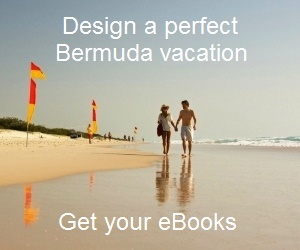 The museum is administered by Bermuda National Trust. Adult: $5, Children (6-18): $2. Monday, Wednesday and Thursday, 11am - 3pm. Closed on other days of the week and public holidays. 2) Check out St George Attractions for many other great attractions in St George.